After 22 years and over 20,000 graduates, Aerie is unique in the wilderness medicine training world: small enough to focus on individual students and large enough to be at the forefront of wilderness medicine worldwide, offering introductory courses through full Semesters in Wilderness Medicine. Aerie Backcountry Medicine has partnered with the Hanifl Centre in India to provide professional-level wilderness medicine education to Indians throughout India, primarily in Hindi. 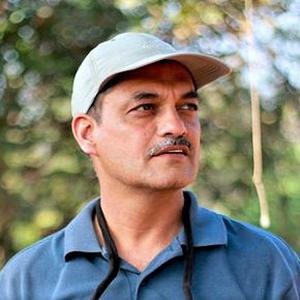 These are the only wilderness medicine courses recognized by the Indian Mountaineering Foundation, which supports, promotes and regulates national and international climbing and mountaineering in India. Looking to have Aerie teach for your organization? We have over 20 years of experience teaching for organizations such as the Student Conservation Association, Washington Conservation Corps, US Forest Service and the US Military. Our instructors can teach just about any class you need, including CPR, First Aid, Wilderness First Aid, Wilderness First Responder, paramedic refresher, EMT, EMT refresher and Wilderness EMT. Contact us for more information. Aerie's Semesters are the most comprehensive courses in the wilderness medicine field. Designed to prepare students for careers in medicine while providing them with the skills and certifications necessary for outdoor jobs, Aerie's three full Semester programs (Spring, in Costa Rica and Montana; Summer, in Montana; and Fall in Montana and the Indian Himalaya) offer 15 upper division credits and unparalleled learning.